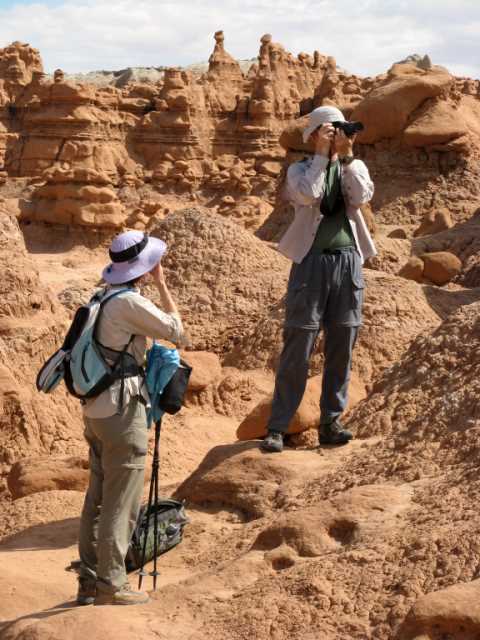 Day 3 of our Utah trip was spent exploring Goblin Valley. 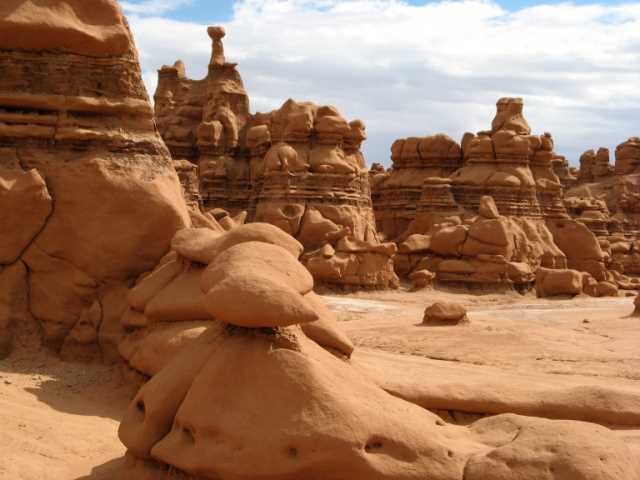 Best known as the alien planet in Galaxy Quest, Goblin Valley is full of unusual looking hoodoos. As we walked through the place, it was easy to imagine we were on another planet. 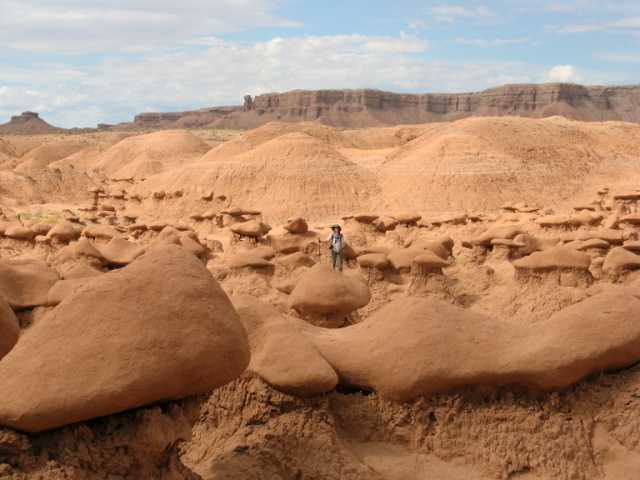 I could also see in the shapes around me 1) why it is called Goblin Valley and 2) where the inspiration for the rock monster in Galaxy Quest came from. 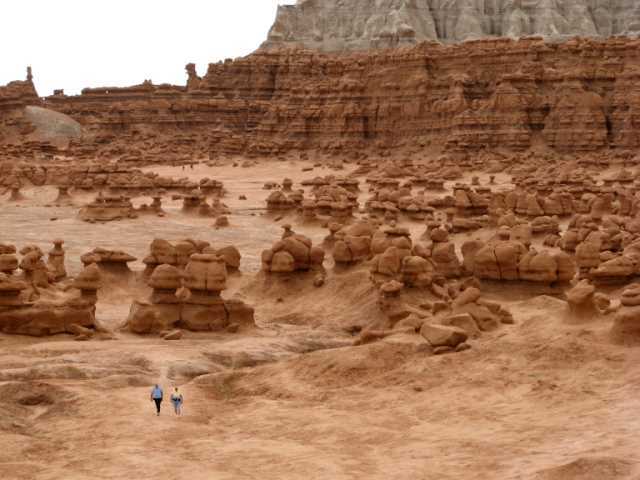 I got the feeling that the rocks around us really were oddly shaped creatures frozen in time. 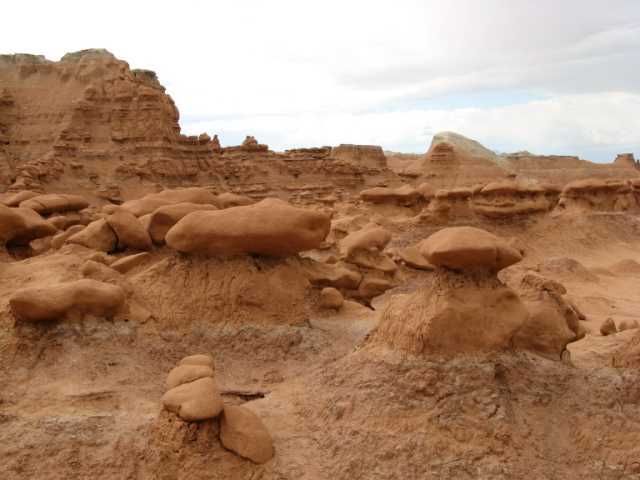 We saw lots of hoodoos during our Utah trip, but only in Goblin Valley did we see hoodoos that looked alive. The valley is actually several connected valleys and the whole thing was much larger than any of us had anticipated. 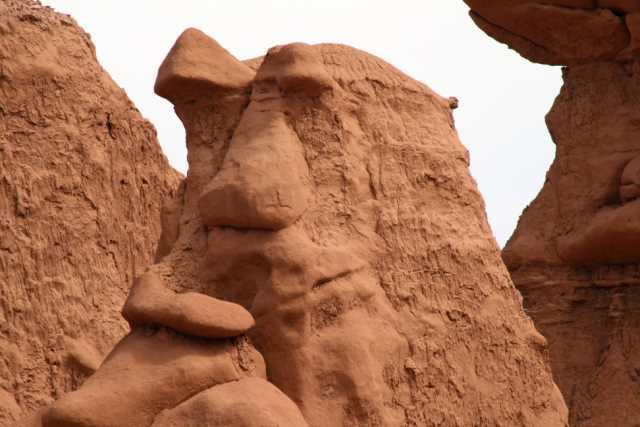 We spent most of our day wandering and noticing the wide variety of formations, as well as the “faces” and “figures” made by the rocks. We took lots of pictures while hiking. At times, Kurt borrowed Kelleen’s digital SLR camera to get close-ups of things far away. For those keeping track, this was the same day the windstorm blew our tent over.